Gain total control over your entire process. Tension Controllers designed for the unique variables in each zone maximizing the performance, productivity, and quality of your process. Not sure which controller is right for you? View the full Tension Controller Functionality Chart. Precise, accurate and consistent tension control straight from the start. 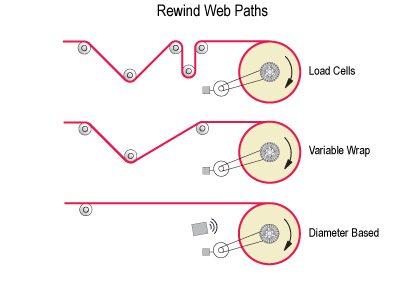 Load Cell, Dancer, Diameter Based or Variable Wrap Unwind Controllers that feature soft-start, anti-coast, splice and more. Ensure high quality accurate material processing with Montalvo Process (Nip) Tension control. Maximize your end product quality by finishing just how you started; with precise, accurate, consistent tension control.